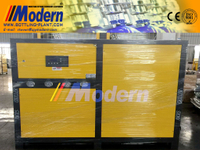 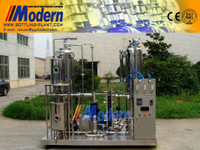 - Buy CSD Filling Line from Zhangjiagang Modern Machinery Co., Ltd. The series of CSD Filling Line for filling carbonated drink contains washing, filling and capping with complete automation, suitable for filling carbonated water drink into polyester bottles and PET bottles. 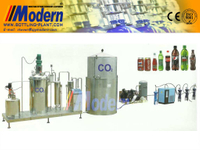 Carbonated water machine, soda machine can be used for all kinds of PET bottles. 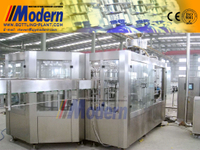 The bottle neck blocking makes the process of changing bottles easily by only adjusting the height of conveyor chain. 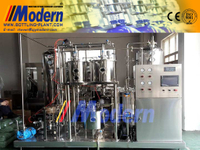 The filling process adopts the micro-pressure technology,which makes filling process faster and more stable. 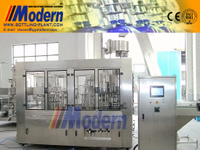 Just check out the whole list of hi-tech CSD filling line at Zhangjiagang Modern Machinery Co., Ltd! 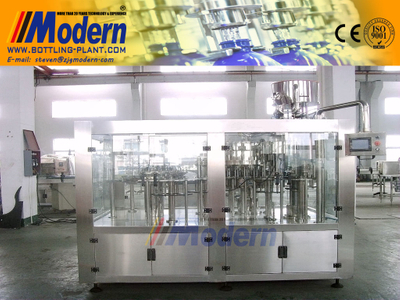 You can find each kind of beverage machinery that you want here!